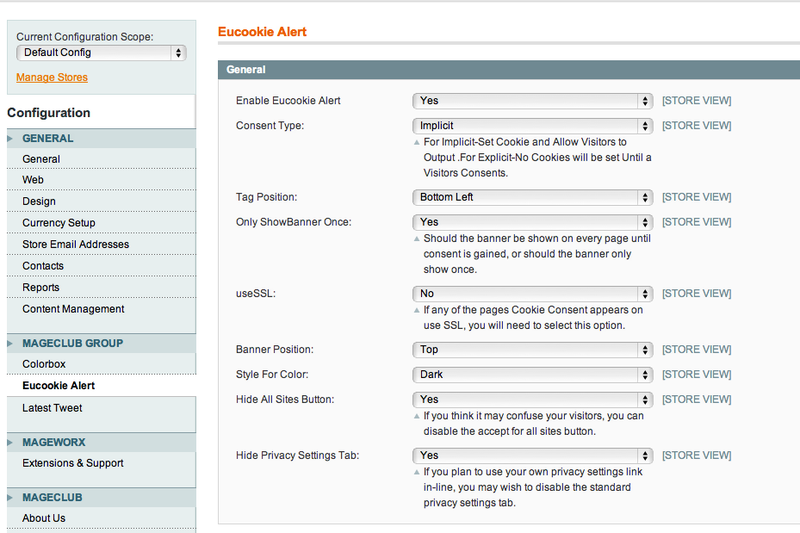 EU Cookie Alert Module is the ultimate Magento cookie extension, which helps you comply with the EU Cookie Law. It’s easy to setup and it really blocks cookies unless they’re allowed to set. 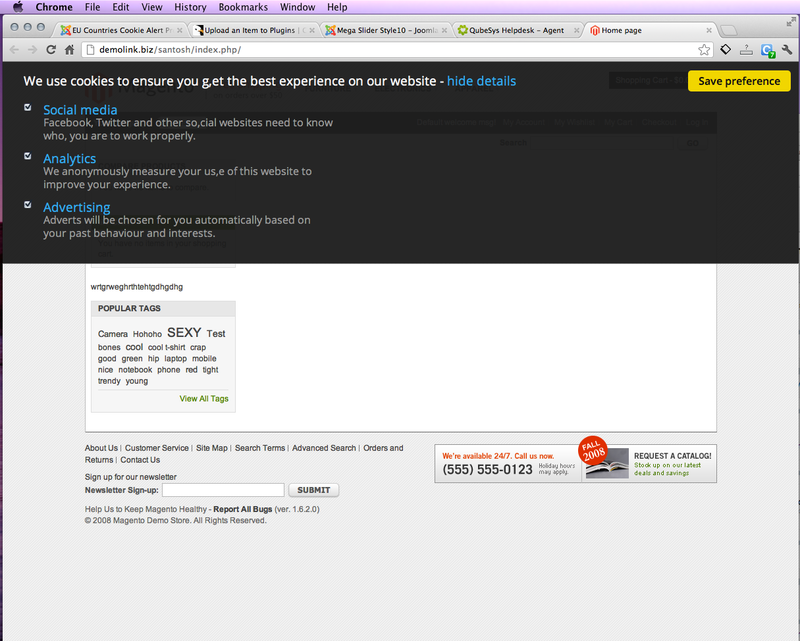 Blocked content is automatically replaced with placeholders, including an ‘Accept Cookies’ button. 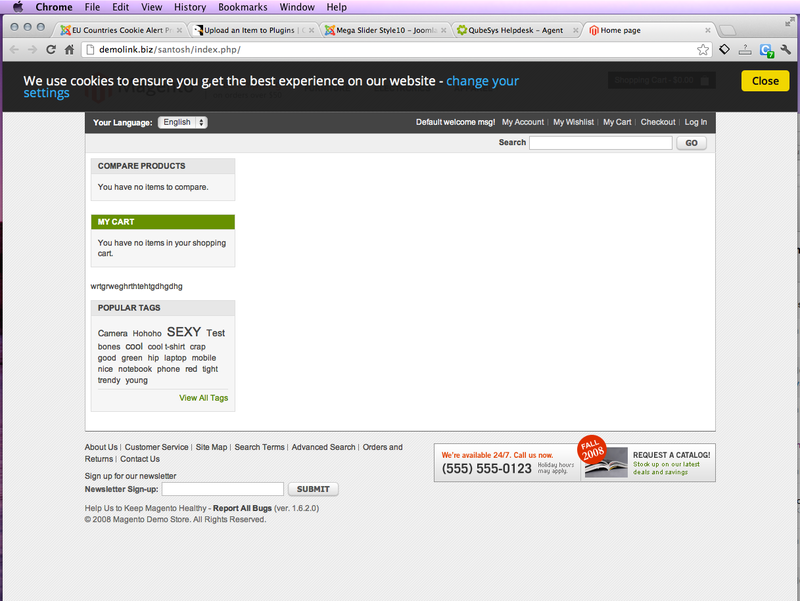 Visitors can change their preferences at any time via the cookie shortcut at the bottom of the page, which also shows their current preference. Cookie Alert Module works great on tablets and mobile phones.